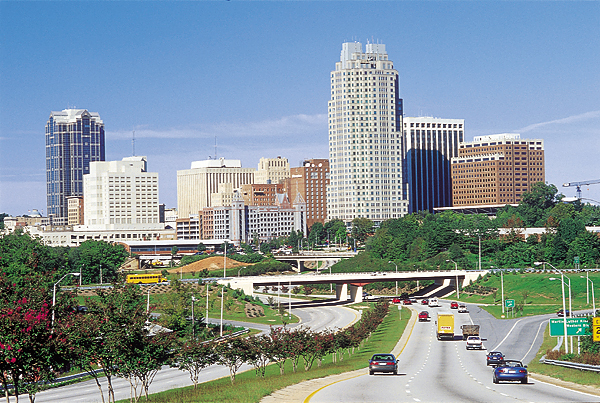 Raleigh is the capital of North Carolina and the county seat of Wake County. Due to the prevalence of oak trees in the area, the city is widely known as the �City of Oaks�. Its population of 405,000 makes it the second largest city in North Carolina, after Charlotte. The Triangle has a metropolitan population of over 1.1 million people. Raleigh is part of The Triangle, which also includes Durham, and Chapel Hill. The Triangle is named for the Research Triangle Park, created in 1959, that is located between Durham and Raleigh. Raleigh is also one of the fastest growing cities in the United States. Raleigh has excellent nightlife, being rated near the top of America�s Best Place for Singles, Cities that Rock, and Best Small Concert Venues. The area combines big city vibrancy with small-town charm. With five different entertainment districts, Raleigh offers a wide variety of small live music venues and large performing arts facilities. There�s fun and entertainment for everyone in the city of Raleigh. If you're interested in Raleigh, please email your resum� with an introductory letter to to Dayna Lynn at dlynn@fsgltd.com or fill out the form below.